The Fire Rescue Service will again actively participate in the FFF program. 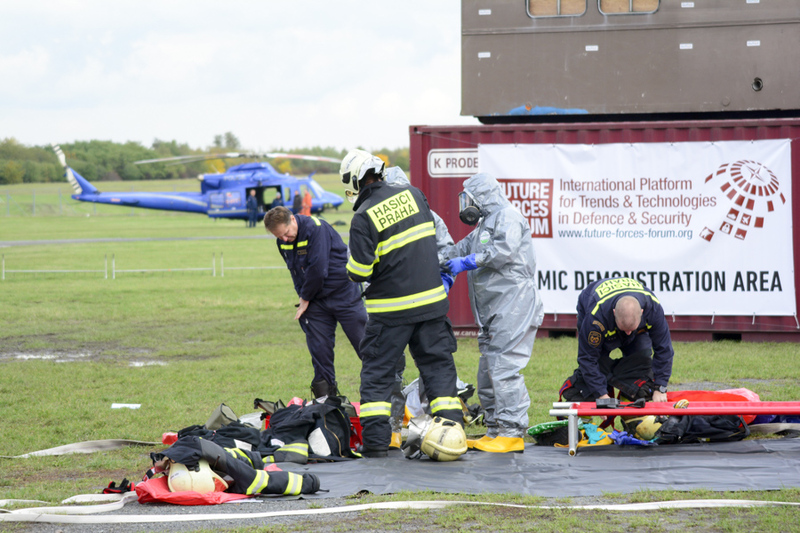 In addition to professional conferences, the FRS will take part in static and dynamic demonstrations. A Technical Chemical Vehicle (TACHP), designed as a chemical, radiation and biological survey vehicle is a property of The Administration of State Material Reserves (ASMR). However, Regional Fire Rescue Services and the General Directorate of the Fire Rescue Service CR use and maintain those vehicles. 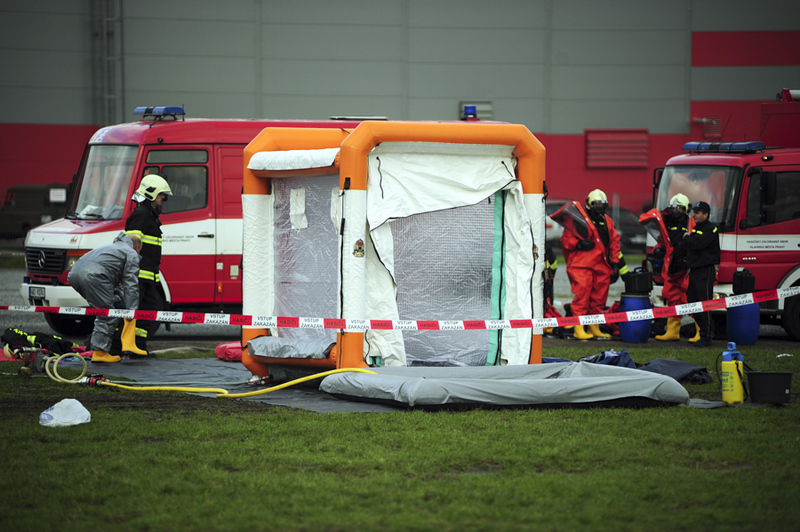 TACHPs are continuously operational and ready to be used during interventions by the chemical laboratories of the Czech Fire Rescue Service in the event of emergency situations concerning use of dangerous substances, crisis conditions, and for the purpose of protecting population. 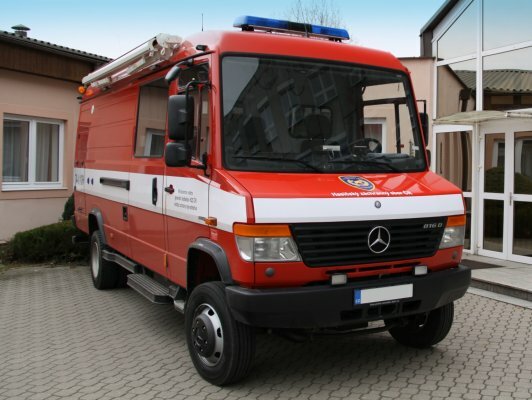 The vehicle is built on a Mercedes Benz Vario 816D chassis and is of a van-type design. Its rear part is divided into 2 sections: a “clean” laboratory section and a “dirty” one which stores samples to be processed. Both sections are connected through a fume hood that allows the samples to be handed from the dirty section. The TACHP is equipped with a set of equipment for the collection of all types of matrices (gases, liquids and solids). The vehicle equipment enables a comprehensive radiation survey (georeferenced monitoring with online data transmission), measurement of α, β and γ radiation (dosimeters, radiometers and contamination meters), sample analysis using an electrically cooled gamma spectrometer Falcon 5000N or RadEye HEC. The vehicle apparatus also includes a packaging set for the safe transportation of radioactive substances up to an equivalent of 1TBq 137-Cs. The following instruments are used for a chemical survey: instruments for the analysis of basic dangerous substances (electrochemical sensors), PID, Raman and FTIR FirstDefender spectrometer, X-ray imaging spectrometer, Gasmet gas spectrometers, mobile GC-MS, or multi-sensor GDA 2. When evaluating the vehicle, the following instruments for biological survey were included in the vehicle equipment: Biocheck, MiPROTECT® bioassay and FLIR FIDO B1 (Biocapture) biological aerosol sampler. Scanners of this type are commonly used in a construction, archeology, geodesy, or in other industries. 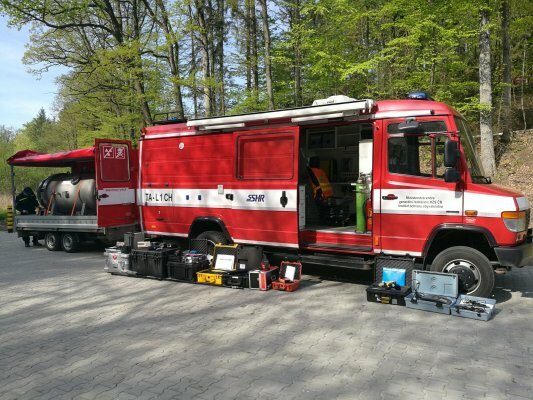 However, they also have a wide range of use in the Fire Rescue Service of the Czech Republic, both within in the State fire inspection, as well as when dealing with specific emergency situations and preparing for interventions. The laser scanning system has an irreplaceable place in determining the causes of fires. The main advantage of the system is its ability to accurately document the event location (the scene of fire) and create a 3D digitization of the fire scene. At the same time it is possible to carry out measurements of surfaces and cubatures. As a result, the fire investigators obtain accurate 2D scale scans, orthogonal views, 2D cuts, and ground plan views. A broken facility – for the purpose of documentation and creation of topographical documentation, a complex and broken facility of an abandoned children's clinic was selected, within which several fires occurred in different places within the recent months. In this specific case, a total of 20 scans were taken in the exterior and 48 scans inside the building, where several unrelated scenes of fire were found. 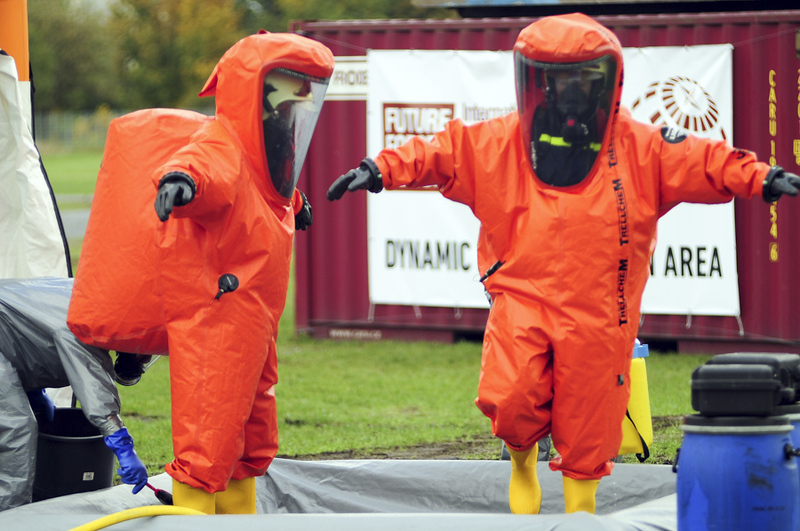 Practical outputs for forensic purposes from the data obtained during the process of determining the causes of fires. The possibility of using obtained data for elaborating fire-technical expertise was verified. Sectional views, floor plans and projections are the outputs. After completing the expertise anyone can at any time carry out additional measurements as the plans are processed at a rectangular scale and provided with a measurement scale. Usability in carrying out Fire prevention and Inspection activities of buildings. When performing the State fire control duties it is determined whether a legal person has complied with the conditions related to the storage of hay and straw stocks. Similarly, transport and storage packages can be scanned and modeled, for example in a chemical industry. 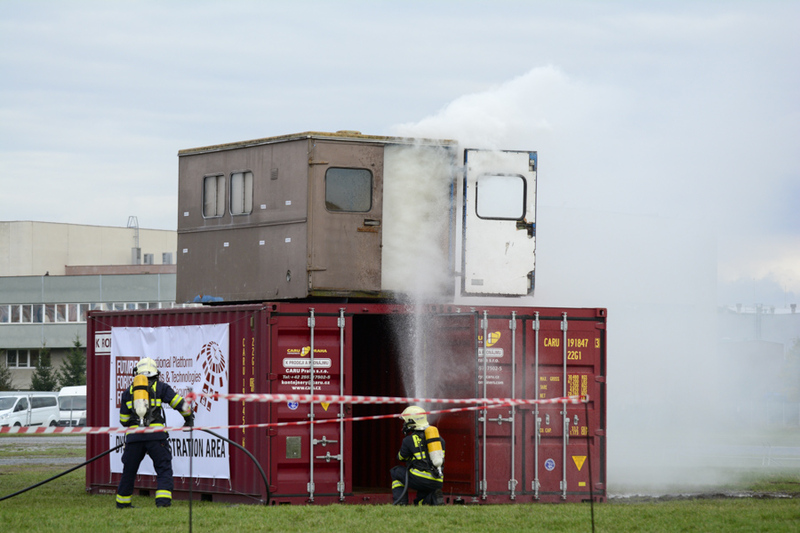 Usability in Simulation - it is possible to assess appropriate fire technology to be used at the scene of an incident, i.e. to verify the suitability of the proposed locations or ascending areas for firefighting equipment.